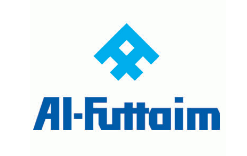 Established in the 1930s, today Al-Futtaim is considered a pioneer and employs in excess of 44,000 people, operates through more than 110 companies and represents more than 225 international brands across industries as diverse as retail and wholesale trading, distribution, financial services, real estate development, and leisure and hospitality. Headquartered in Dubai, United Arab Emirates, the group’s significant expansion in recent years through strategic acquisitions has seen entry into new territories beyond the GCC and Greater Middle East to encompass Africa, South East and North Asia, Australasia and Europe. Now Hiring Al-Futtaim for the below jobs.